Cardiologists have known for years that high levels of HDL—the so-called “good” cholesterol—helps protect against atherosclerosis and heart attack. Now there’s evidence that this beneficial blood fat may also help lower the risk of cancer. The study by researchers at Tufts University School of Medicine found that each 10-point increase in HDL cholesterol corresponded to a 36 percent decrease in a person’s risk of developing cancer. The study, which appears in the Journal of the American College of Cardiology, looked at data from 24 clinical trials that included nearly 150,000 healthy people. The relationship between higher HDL levels and lower cancer incidence not only persisted throughout all of the studies; it became even stronger after adjusting for demographics and other risk factors. Guidelines say that men and women should keep their HDL over 40 and 50 mg/dL, respectively, though everyone should shoot to maintain levels above 60 mg/dL. How HDL affects cancer risk is still a mystery. It may boost the immune system’s ability to fight precancerous lesions and cancerous tumors lurking in the body. It may also indicate a healthier lifestyle that has an overall preventive effect since people who exercise regularly, have a healthy diet, and don’t smoke tend to have higher levels of HDL. Another possibility is that HDL has antioxidant properties that neutralize chemical compounds in the body that contribute to cancer by damaging cells. A third explanation is that HDL may reduce inflammation, which is associated with both heart disease and cancer. Whatever the reason it’s clear that the higher your HDL levels, the better. Raising HDL cholesterol isn’t quite as easy as lowering “bad” LDL cholesterol. There are no magic bullets and statin drugs do nothing to increase your levels. The best way to support healthy HDL levels is to adopt a healthy lifestyle. That means eating right and getting plenty of exercise. 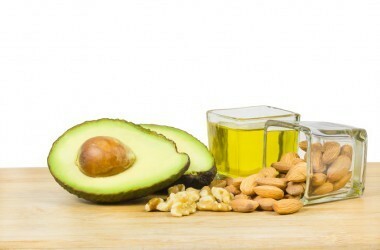 Foods high in monounsaturated fats (such as olive oil, nuts, and the oils in many salad dressings) seem to boost HDL. It’s likely that foods high in omega-3 fatty acids (such as cold-water fish) do so as well. Worst of all are trans-fatty acids. These foods can do exactly the opposite of what you want, lowering HDL while raising LDL. It’s also important to cut down on simple carbs. People on high-carb diets full of pasta, bread and sugar—even those who exercise frequently—tend to have lower HDL levels than those who eat plenty of protein and good fats along with veggies and whole grains. A British study showed that people with high HDL levels tend to focus on slower-burning carbs, such as beans and fruit. Exercise is also key. One Georgetown University study found increased HDL in people who ran several miles a week or took part in four moderate 30-minute sessions of any aerobic activity. Another two-month trial showed that women who took cycling (spin) classes three times a week also experienced a significant increase in their HDL levels. If you suffer from very low HDL levels, consider niacin, a B vitamin that can increase HDL by as much as 35 percent. It’s worth noting that niacin also decreases your LDL, lipoprotein(a) and triglyceride levels. Niacin comes in several forms—immediate release, slow-release, extended-release and non-flushing varieties. While most people prefer a non-flushing niacin supplement (the kind that prevents your skin from temporarily turning warm and red), it isn’t the most effective. Slow and extended-release supplements also carry other concerns, mainly liver toxicity. But immediate release niacin, also called “crystalline” niacin, is both safe and effective. Start with one dose of 250 mg. taken at bedtime. To reduce flushing, take your niacin with 800 to 1,000 mg. of stinging nettles. Finally, if you smoke—quit. Nothing lowers HDL levels faster than smoking. The good news is if you stop smoking, no matter how long or how much you’ve smoked, your risk of heart disease, stroke and cancer starts to drop almost immediately. 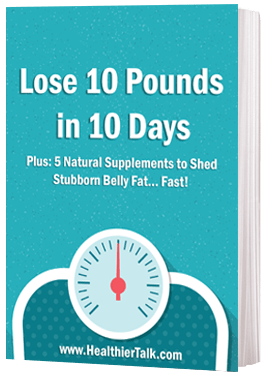 Combined with niacin and the other healthy lifestyle changes I’ve discussed, you should start to see your HDL levels start to steadily improve—a sure sign that you are on the right track. Brooks EL. Niacin’s role in the statin era. Expert Opinions in Pharmacotherapy. 2010 Jun 22. Jafri H. Baseline and on-treatment high-density lipoprotein cholesterol and the risk of cancer in randomized controlled trials of lipid-altering therapy,” American College of Cardiology. 2010;55:2846-2854. Stasiulis A. Aerobic exercise-induced changes in body composition and blood lipids in young women. Medicina (Kaunas) . 2010;46:129-134. This revolutionary approach to health and wellness may ultimately take mankind to higher heights. Here is where the data you are quoting is wrong. According to many studies the consumption of saturated fat coming from organic naturally grown animals like grass-fed beef is very beneficial and increases the HDL values. In addition, the dietary cholesterol from this type of fat has no effect on the so improperly called “bad” blood LDL cholesterol. Yes, cutting back and literally eliminating simple carbohydrate consumption like all grains (whole and regular) and sugars from your diet and increasing intake of naturally grown and pasture raised animal protein plus increasing your exercise activities (not aerobics) but interval training types will increase the HDL values in your blood. Also, taking Niacin is helpful too. Personally, I have following the above principles and my HDL increased from very low 32 to 59 for the last few years and my Triglyceride is 81.